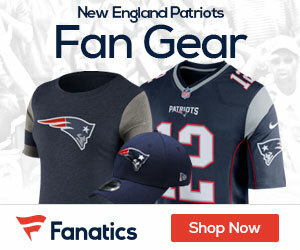 Patriots Gab - Page 2 of 538 - The Definitive New England Patriots Blog! 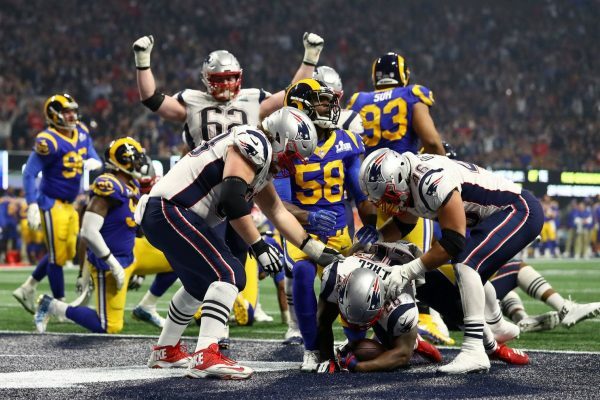 Some fans were bored with how Super Bowl LIII played out, but by the end it was a day for defense and clutch plays by the Patriots, who took care of business by winning their 6th Super Bowl title with a 13-3 win over the Los Angeles Rams. It was typical Bill Belichick, coming up with a game plan to put the squeeze on the high powered Rams offense, holding them to just one field goal and a total of 260 yards and 14 first downs. The Patriots also held the Rams to just 3-of-13 on third downs, stopping them time and time again when it mattered the most. The grumbling from the fans came from the fact that the game was the lowest-scoring Super Bowl to date, beating out Super Bowl VII, when Miami Dolphins beat Washington Redskins by a score of 14–7 in January 1973. The game came down to the fourth quarter tied 3-3 after the Pats led the game 3-0 at the half. In the final 15 minutes the Pats outscored the Rams 10-0, with rookie running back Sony Michel scoring on a 2-yard run with roughly 7 minutes remaining to give the Patriots a 10-3 lead. Pats kicker Stephen Gostkowski sealed the win with a field goal late in the fourth quarter to make it a 13-3 game. The winning drive for the Pats was beautifully done by QB Tom Brady, as he completed four consecutive passes to set up Michel’s touchdown plunge. The drive opened with an 18-yard catch by Rob Gronkowski, who added a 29-yard diving catch at the two. The MVP of the low scoring affair was Julian Edelman, who had a game-high 10 catches for a game-high 141 yards, many of them coming on third downs. Brady, the 41-year old quarterback, threw for 262 yards and overcame an opening possession interception to be solid the rest of the way, not turning the ball over. New England held the ball for 33:10, as they wore down the tough Rams defense with a mix of running the ball and going downfield often with Edelman being the star of the night. As for the Rams, their offense was just not in sync, partially due to how good the Patriots defense played, throwing various looks at Jared Goff and company. When the Rams did have their chances, they missed on them, like wide out Brandin Cooks, who had a chance at two touchdown catches, both of which hit his hands, although both of which would have required remarkable efforts. Goff was off most of the night, and threw a critical pick down 10-3 on a 2nd-and-10 throw from the Patriots’ 27-yard line with a bit more than four minutes remaining, killing the best chance at a touchdown for the Rams. The Patriots will look to make history in Super Bowl LIII today, as with a win they will tie the Steelers with six Super Bowl titles – all in the Brady-Belichick era. They will have to take care of the Los Angeles Rams, a high-powered team with a young coach and young quarterback who want to knock New England off their pedestal. Here’s three keys as to what the Patriots have to do to win in Super Bowl LIII, and a final prediction for the game. There’s been plenty of reports (more so since the NFC Title Game) that Rams running back Todd Gurley is not 100 percent, and if that is truly the case, the team will be giving a lot more looks to reborn running back C.J. Anderson, who has played well this postseason. If the Pats can early on take that running game away from the Rams, it will force Jared Goff to throw often, which will play right in the hands of the Patriots and their looking to get to the quarterback. If the Rams can run the ball, it will open up play action for Goff, and he’s very good when it comes to throwing the ball downfield to his receivers off play action. Look for the Pats to try and confuse Goff with different looks, but also look for the Rams to get Anderson and Gurley going early. There’s no doubt in the two playoff wins thus far the Pats screen game has been as good as it’s been at any point in the last few seasons. The team will have to use that again today against a fierce Rams pass rush, and it wouldn’t be a shock to see newly crowned two-time NFL Defensive Player of the Year Aaron Donald to try to get into the backfield and reach Tom Brady early and often, and with that it will open up the Rams pass game. It was the screen game that got the team going a year ago in the Super Bowl, and look for it to be a huge key again today against the really good Rams defense. The Patriots and their fans looked up at the scoreboard last year in Super Bowl LII with 8:48 to play in the second quarter and found themselves down 15-3. They cannot afford this year to do that against the Rams, who have a much better offense than what the Eagles had a season ago. New England settled for two field goals on their first two scores, which really hurt the team as they trailed 15-6, when just one score would have made a big difference. Scoring TD’s and not settling for field goals will be paramount in this game. 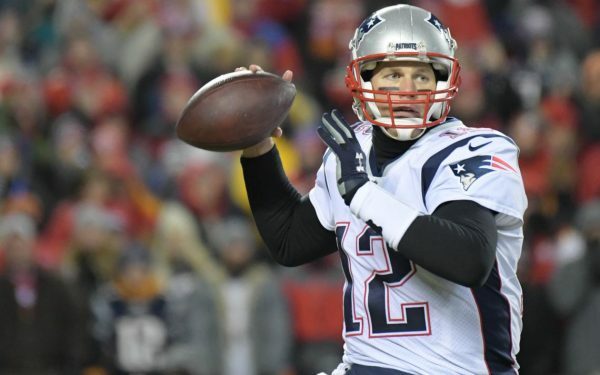 Prediction – The Patriots are in a good position in this game, they have plenty of confidence after their win over the Chiefs two weeks ago, and they seem poised and confident to put last year behind them and not allow the Rams to get off early in the game, which is a huge key. Look for Tom Brady to avoid that pass rush by stepping up often in the pocket, look for a big game for TE Rob Gronkowski, and look for the team to finally escape last year’s demons by scoring touchdowns this time and not settling for field goals. It should be a fun game, and one that will see the Pats hoisting their 6th Super Bowl Trophy in the end. Patriots quarterback Tom Brady turns 42 in August, and the 2019 season will mark the final year of his contract. But owner Robert Kraft indicated Wednesday that he wouldn’t have reservations about extending the pact as Brady attempts to achieve his goal of playing until he’s 45, Mike Reiss of ESPN Boston reports. “Think about it: The last three years we’ve been privileged to go to the Super Bowl with a quarterback in place. I would be quite surprised if he didn’t continue for quite a while as our quarterback,” Kraft said at Super Bowl LIII after attending commissioner Roger Goodell’s news conference. Brady is scheduled to count $27 million against the salary cap in 2019. That’s a high number that could be reduced, allowing the team more flexibility to sign other players while also giving Brady more money in a signing bonus or guarantees into future years. Rob Gronkowski isn’t the only key member of the Patriots who could retire after the Super Bowl. 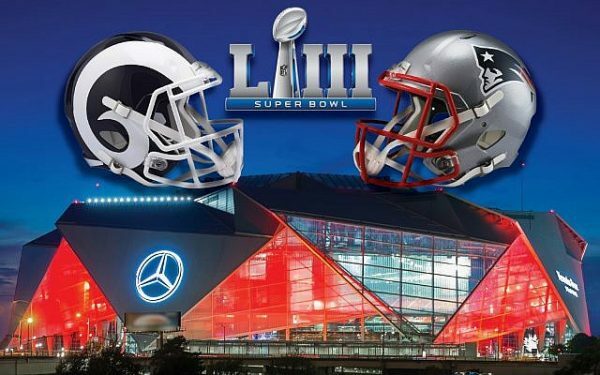 Speaking to reporters at Super Bowl Opening Night in Atlanta on Monday, veteran defensive back Devin McCourty wouldn’t rule out the possibility of the Super Bowl being the last game of his career, Chris Cotillo of MassLive reports. 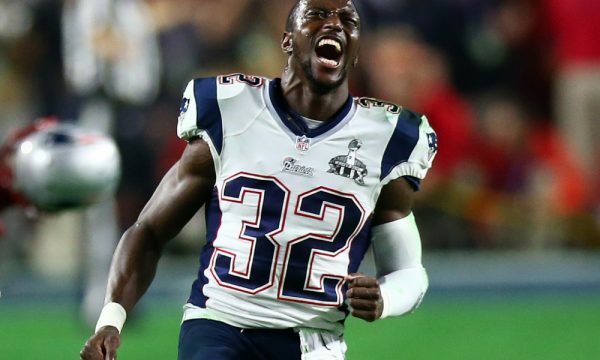 McCourty, 31, has spent all nine seasons of his career with the Patriots since being drafted in the first round back in 2010. He won Super Bowls in 2014 and 2016 before joining forces with his twin brother, Jason, for the 2018 season. Whether it was a desire to send off their team into hostile territory outside New England right, a chance to get on the Gillette Stadium field, or a combination of both, an estimated 35,000 fans woke up in the wee hours and braved the cold on Sunday morning to salute the Patriots as they head to their record 11th Super Bowl and ninth of the Tom Brady-Bill Belichick era, Jon Couture of the Boston Globe reports. 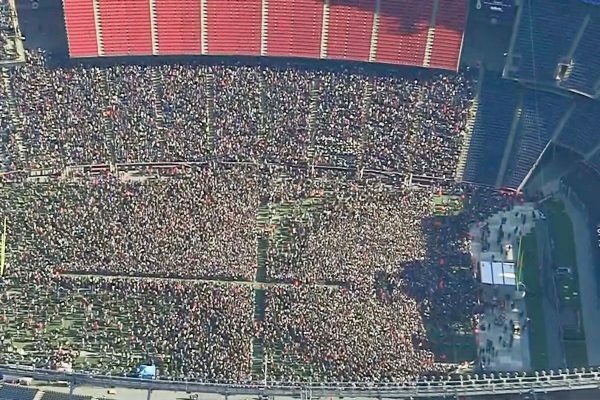 Capping a program that included Blue Man Group, Fitzy, the Foxboro High marching band, team broadcasters Bob Socci and Scott Zolak, Bill Belichick, and the six Patriots captains, Tom Brady led the crowd in a “WE’RE STILL HERE” chant before a phalanx of buses headed to T.F. Green airport outside Providence, flying the Patriots to Atlanta and another Super Bowl week. Flores, who is expected to be named head coach of the Miami Dolphins, was the Patriots’ de facto defensive coordinator this season after Matt Patricia left last offseason to become the Detroit Lions’ head coach. 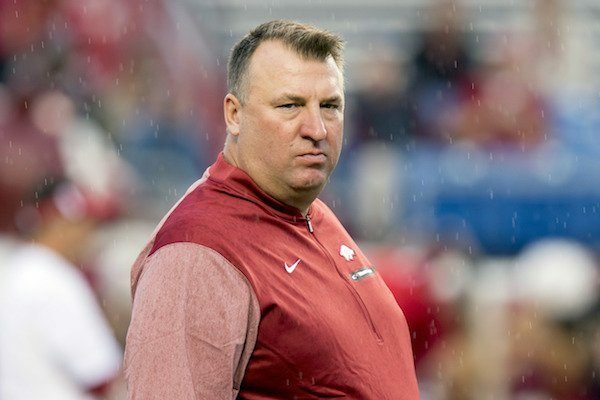 While some reports have speculated that former Ohio State defensive coordinator and Tampa Bay Buccaneers head coach Greg Schiano would fill Flores’ position as defensive coordinator, it looks like another former college coach might be moving up the ranks in Bill Belichick’s staff, Joshua Schrock of NESN reports. Stephen A. Smith, Max Kellerman, and Damien Woody dissect Patriots QB Tom Brady. Stephen A. says he is the best leader and player in the NFL despite his love for Green Bay Packers QB Aaron Rodgers. Max Kellerman on the other hand says he wasn’t even better than the Kansas Chiefs’ Patrick Mahomes in the 2018 AFC Championship Game. 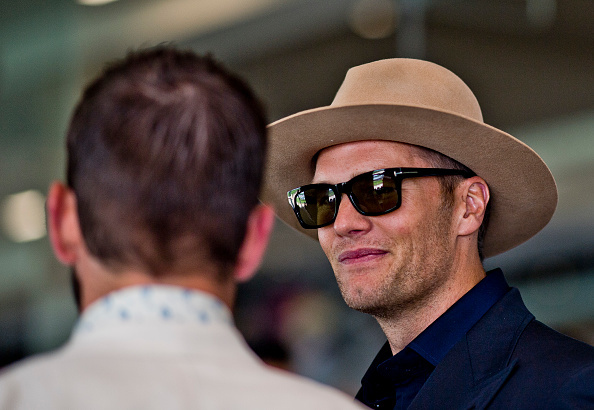 Tom Brady is a sure-fire Hall of Fame QB, and many think that he’s the greatest of all-time. With that said, with an impending game in two weeks against the Rams for what would be his 6th Super Bowl, some have questioned if he’s going to call it quits if he happens to win another title. With Brady closing in his second straight chance at winning his sixth championship, the question of whether the GOAT would head for the green, green grass of home will re-emerge, and potentially intensify. Brady has long insisted that he’ll play until he’s 45. Some think that he continues to point to an expiration date well into the future in order to never have what would amount to a farewell tour. Under that theory, Brady would unexpectedly bid farewell at some point short of hitting the halfway point to 90. The wishes of Mrs. Brady can’t be overlooked. She has spoken publicly regarding her concerns for his health, blurting out during an interview nearly two years ago that Brady has had concussions. Although Brady has managed to keep her on board for two more seasons, she now has 13 days to make the case that the ultimate quarterback needs to become the ultimate showman and walk away on top, before he becomes the ultimate meatball. The fact that Brady and the Patriots will face in Super Bowl LIII the team that Brady an the Patriots beat in Super Bowl XXXVI gives the moment a certain bit of symmetry and poetry. 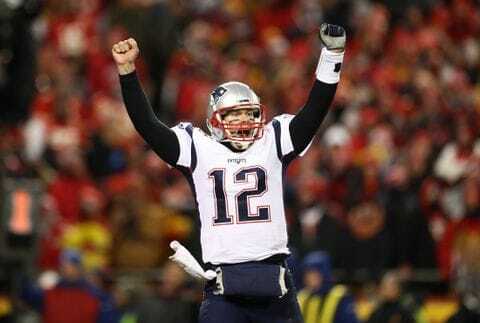 Brady can bookend his initial championship, put a sixth pelt on the wall, and call it a career. Brady and the Pats are slight underdogs entering the game against the Rams, but if anyone is ready to bet against the Patriots, they have two weeks to think about changing their minds.